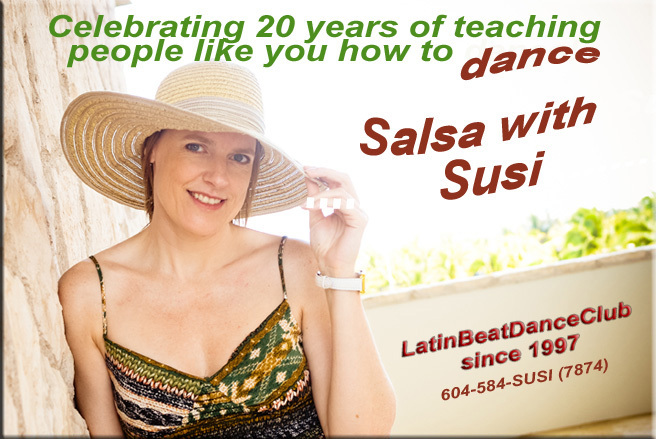 Welcome to the LATIN BEAT DANCE CLUB - Vancouver's popular Latin dance connection! 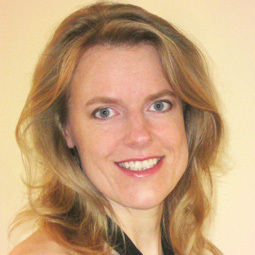 My name is Susi Haemmerle, and I am a professional dance instructor and host of the Latin Beat Dance Club. I offer public and private, group and one-on-one dance classes in the Lower Mainland. Over the past 20 years I have been teaching popular Latin-American dances like Salsa and Salsa-Rueda, Merengue, Cha Cha, Bachata and Rumba, international ballroom dances like Tango, Slow Waltz, Viennese Waltz, Foxtrot and Quickstep and Social dances like Hip Hop, Swing 'n' Jive, Street Hustle, Samba, Paso Doble, Argentine Tango and even Zumba Fitness! From 1990 to 1993 I studied 3 years at a Ballroom Dance Academy in Germany and then immigrated to Canada shortly after. I established my own business and started teaching various styles of dancing in different levels. As Cuban style Latin dances grew extremely popular, I founded the "Latin Beat Dance Club" in 1997 with the goal to create a network of people sharing the fun and excitement of dancing, while making them feel comfortable interacting with their fellow members/students. Since then our Club has gained thousands of members, and I'm happy to say that whenever we get together, we are indeed a very friendly crowd, where it is easy to meet people and make good friends. Membership is FREE (! ), and you will stay connected with the rest of us by getting regular Newsletters (Updates) or Event Announcements, so you will know all the details as to what's going on and where: dance lessons and events, parties and other get-togethers to practice dancing.